The IBFF CUP 2019, is to be held at the most coveted location in Delhi- HOTEL LALIT, a fine five-star property and will have the finest of the arrangements for everyone. The CHAMPIONSHIP- IBFF CUP 2019, is going to be a two-day event with an EXPO along with weigh in and orientation on day 1, and the final championship on the second day that is 31 march 2019. 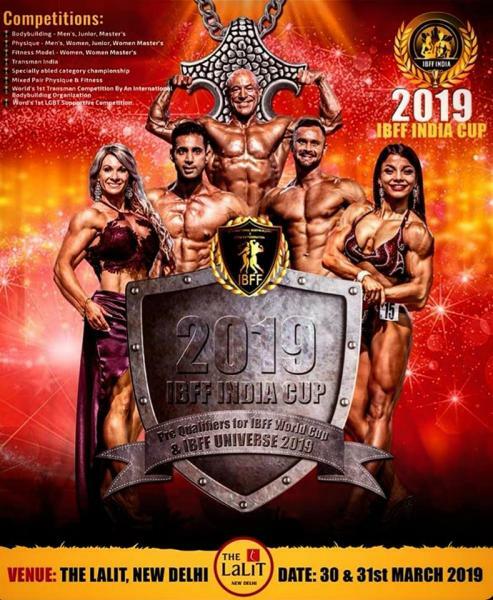 IBFF CUP 2019, is stated to be the most coveted and niche event in the history of FITNESS INDUSTRY.